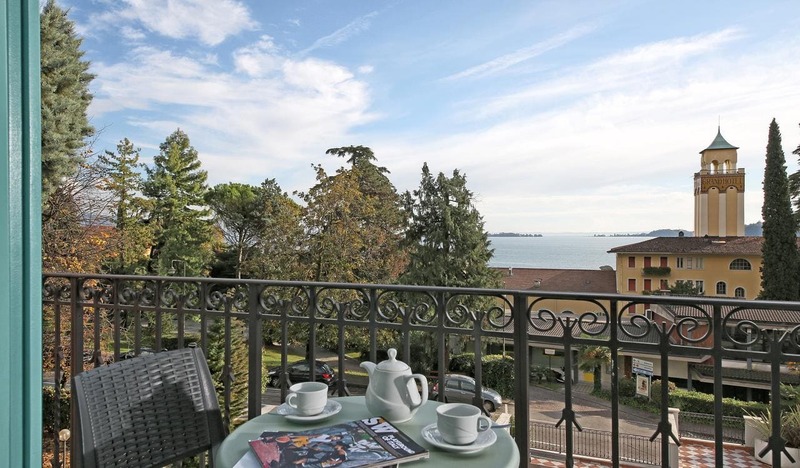 Offering a free outdoor pool and a panoramic rooftop terrace, Atelier Hotel is set on Lake Garda shores in Gardone Riviera. The hotel features a spa with a sauna and hot tub. All guest rooms at Hotel Atelier come with air conditioning, free internet access and an en suite bathroom complete with free toiletries and a hairdryer. The Atelier Hotel is located next to Gardone Riviera bus station. The Vittoriale degli Italiani estate is a 5-minute walk away.